Can The Press Hold Trump Accountable? Not since Joe DiMaggio has anyone seen 56 days like those turned in by Donald Trump since his triumph. At a time when most President-elects bunker down, meet privately with potential cabinet appointees, and comb through briefing books to learn the difference between Kazakhstan and Kurdistan, Trump has once again proven he can hoard attention like no other politician in memory. It’s not the first time Trump has turned a candle’s flicker into a scintillating spotlight. He mastered this art for four critical days during the Democratic National Convention in July. Traditionally, that’s a week when a nominee goes dark during their opponent’s coronation. But we know this election broke the mold. In what was to be Hillary Clinton’s most important week of her life, Trump shared the headlines that impeded her post-convention bounce and smothered her momentum to November. 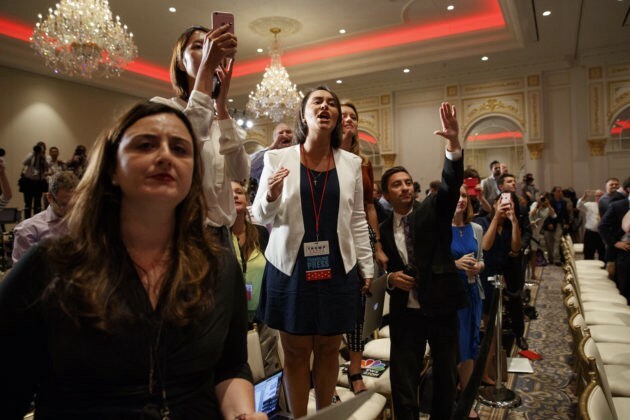 Since election night, most of the Fourth Estate have collectively gathered on the therapist’s couch, dissecting its role and its failings in covering an unfamiliar campaign in a reliable way. It fell victim to personality over policy, stumbled on its cultural-elite narrative, and was tone deaf to the voices of ordinary Americans dehydrated of hope and restless with the Beltway. As a journalist, I admit to being somewhat guilty. After reading a Pew Research Center survey on the demographic shift in America, I didn’t see a Republican path to the Presidency, maybe ever again. What I wasn’t guilty of was labeling every Trump supporter a racist. I believe many voters just hated Clinton more than anyone else. As we approach Trump’s inauguration, the burning question in journalism may not be any easier to answer than during the campaign. 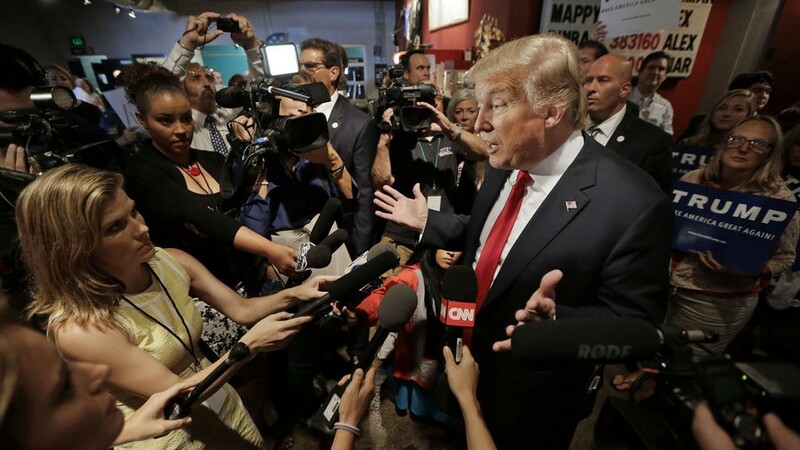 How can the press hold Trump, his words and his actions, accountable when he has shown the skill to deflect criticism while bypassing traditional media channels? Ronald Reagan wasted no time changing this. On January 29, 1981, just nine days after being sworn in and with America exhaling after the release of 52 hostages from Iran, Reagan held his first presidential news conference. But first, Press Secretary James Brady faced reporters and invited them “to join us in an effort to restore confidence, dignity and decorum to this institution.’’ Basically, reporters were told to act like grade school children: stay in your seats, raise your hands, and wait to be called on. What we face during Trump‘s Presidential news conferences could make his debate performances seem tame. 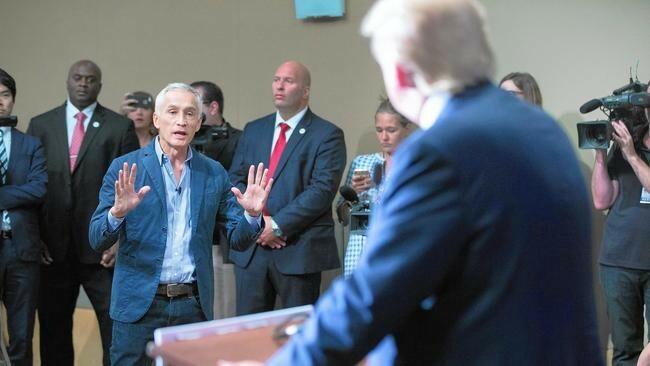 During his campaign we watched Trump toss reporters out of news conferences, call them out by name as liars, and create such hostility that his fervent supporters physically assaulted protesters even as cameras rolled. Then there’s the social media circus we can expect before, during and after Trump’s Presidential news conferences. 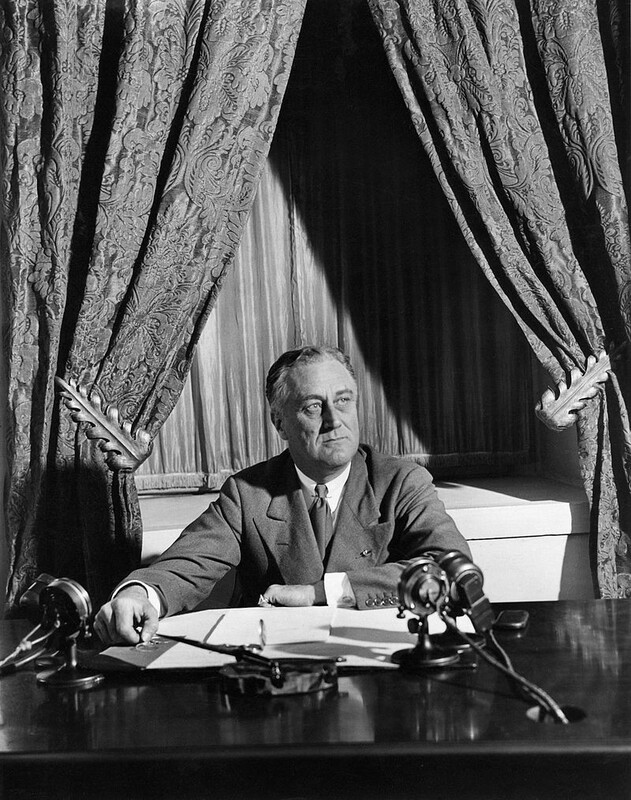 For Trump, Twitter is akin to FDR’s fireside chats. Between 1933–1944, FDR used them to effectively communicate directly and intimately with Americans and the world. His Press Secretary Stephen Early revered the power of radio. “It cannot misrepresent or misquote. 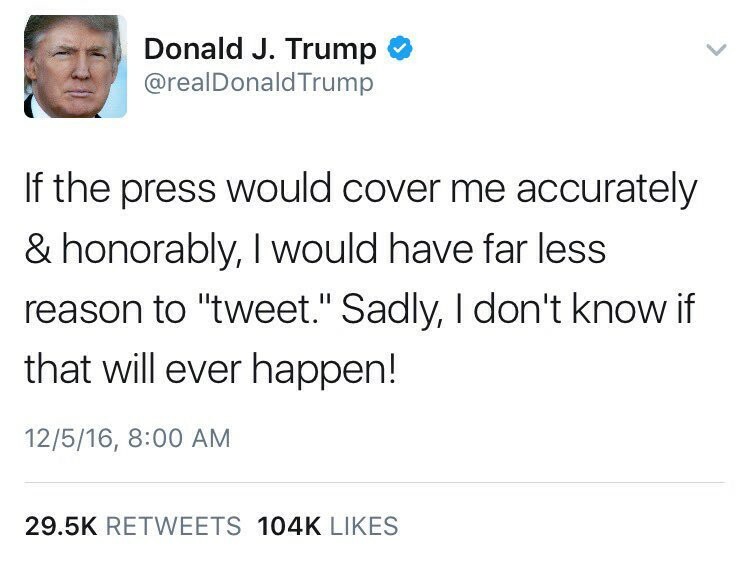 It is far reaching and simultaneous in releasing messages given it for transmission to the nation or for international consumption.” But while FDR used these 30 radio conversations to assure Americans in times of uncertainty, Trump will use Twitter to stoke the fires, antagonize critics, and settle scores. The year ahead brings us an unconventional leader who communicates in unfiltered ways at a time when the world seems to be tearing at the seams. In being elected, Trump exposed how the press took his words literally while the public accepted them with a grain of salt. Going forward, the press will need to move beyond examining its role in the election to solving the riddle of our times: How can we effectively cover this leader who’s working off an unpredictable playbook all his own? Connecting the dots of news, culture & media.